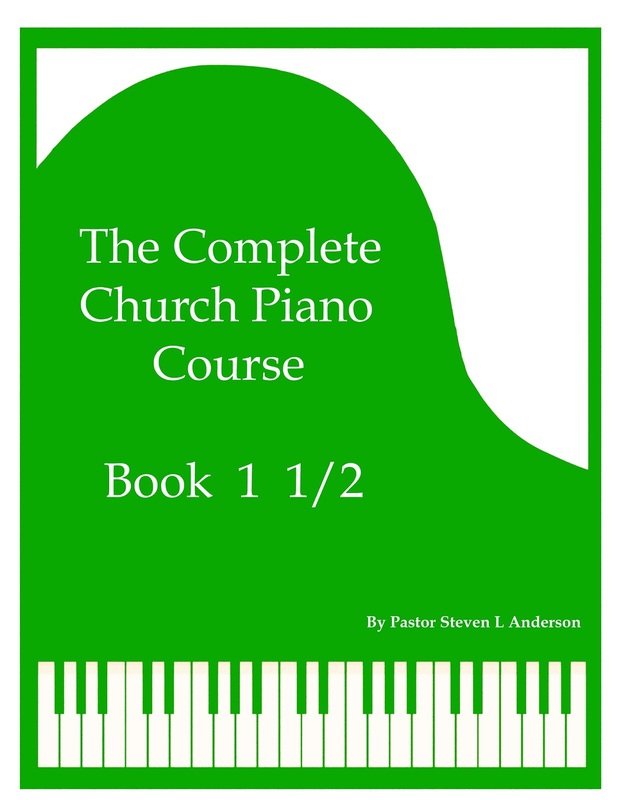 Thousands of people have used the Complete Church Piano Course over the last 5 years to learn how to play church piano. The books have gotten rave reviews and literally zero complaints. The course definitely works, but I’ve talked to a lot of people who have kind of stalled out in their learning. These people have completed Book One, but they are still struggling a little bit with the concepts introduced in Book Two. Enter Book 1 ½. This new book is not necessary for completing the course, but it is a great supplement to help ease the transition from Book One to Book Two. Book Two is substantially harder than Book One, so I wrote Book 1 ½ to kind of bridge that gap and provide more practice songs at the beginner level. If you’re at that point, where you are playing songs out of Book One, but Book Two is still just a little too difficult for you, then Book 1 1/2 is exactly what you need. Even if you are only about halfway to three quarters of the way through Book One, you’ll probably be able to jump right into Book 1 ½ and start benefiting from it right away. Specifically, if you’re doing well with playing the songs in Book One with stationary chords but aren’t ready to tackle those broken chords yet, Book 1 1/2 will allow you to learn some additional songs that have been arranged using only stationary chords. It will also help ease you into playing broken chords, which are also used in some of the songs. Book 1 ½ was designed to be used between Book One and Book Two and contains new information that is not found in any of the other books in the course. It introduces playing arpeggios in the left hand, which is a great way to add variety to your arrangements. If you liked Book One, you’ll love Book 1 1/2. Since the sons of Belial shut down my personal PayPal account, the only place to get these books now is from Paul Wittenberger on Framingtheworld.com. Click here to order Book 1 ½ of the Complete Church Piano Course. Pastor,has these books started to ship worldwide?